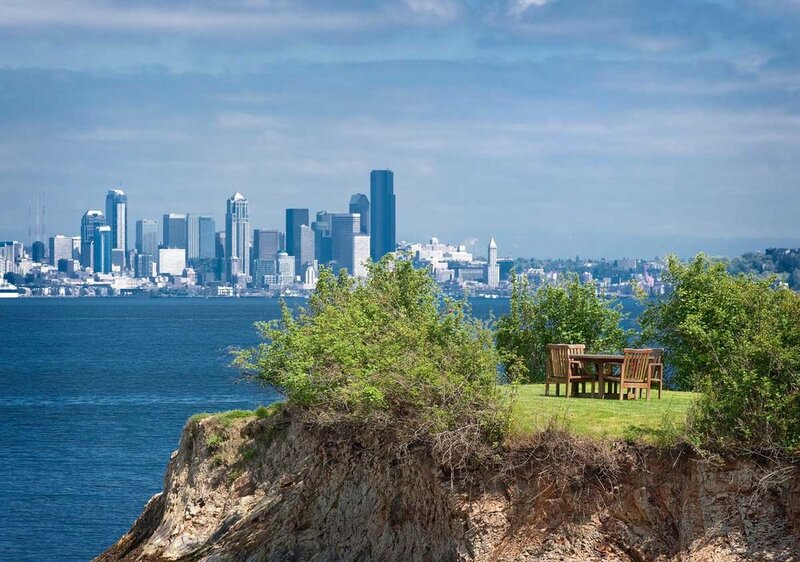 Worthy of global attention, this gracious Bainbridge Island compound rests serenely on 835 ft of treasured low bank white sand beach with unrivaled views of Seattle’s iconic skyline, Puget Sound, the Cascades, Mt. Baker, & the Olympics. 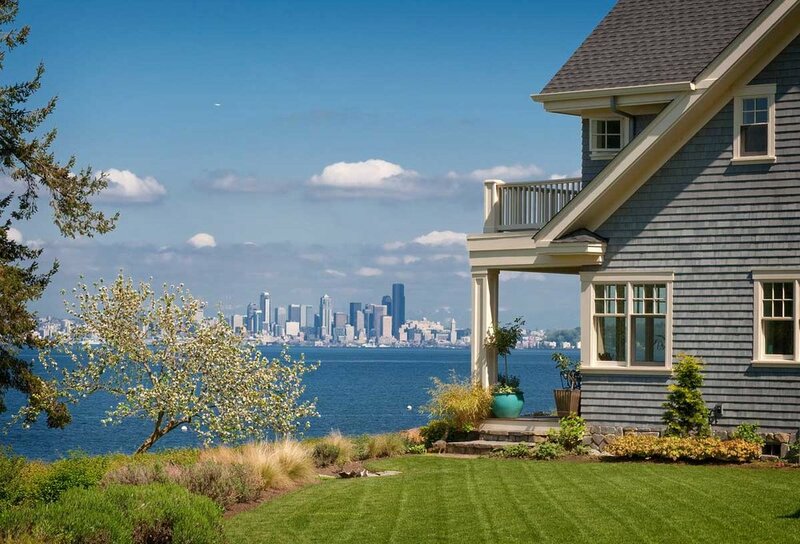 Provides a perfect blend of formal & casual living spaces. Caterer’s kitchen w/adjoining family room. 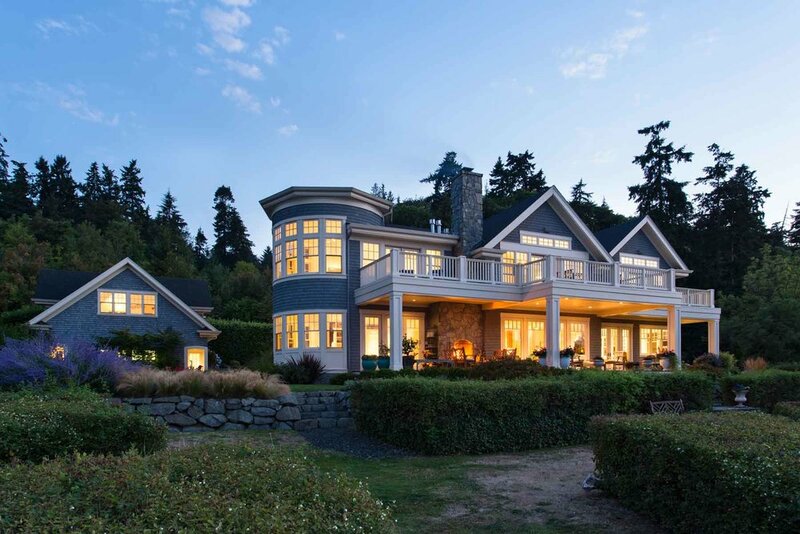 Soaring ceilings, intimate spaces & mature manicured grounds. 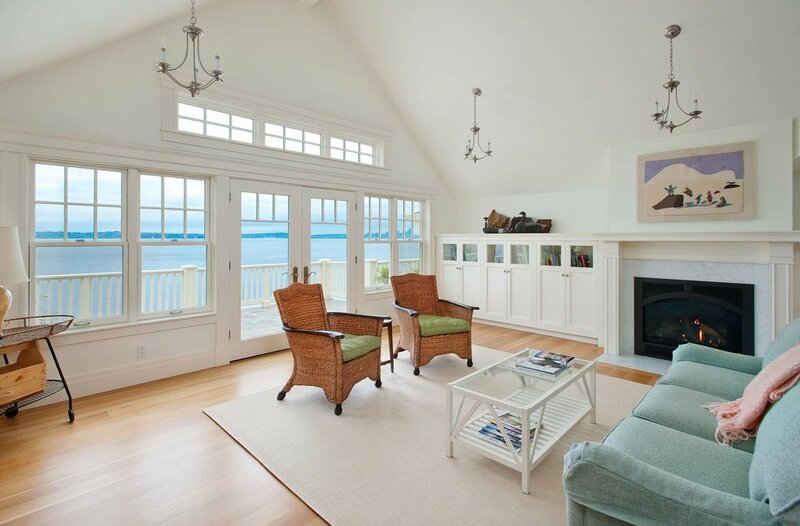 Two separate carriage houses provide space for guests, additional storage & 4 car garage space.